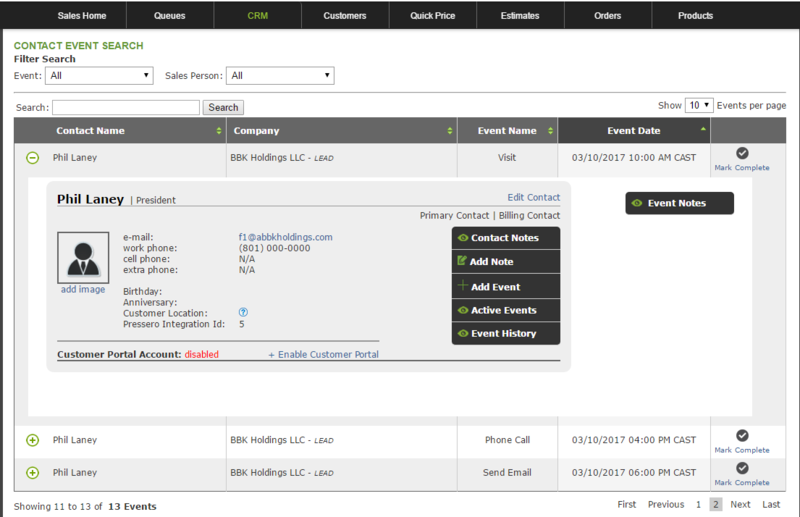 Coming from Signvox, it is apparent that Corebridge lacks the utility to track and followup on sales leads. This function was used daily and valuable for tracking progress, and we're now relying on an entirely different program to track these leads/prospects and relevant information pertaining to them. Has anyone else found a solution in Corebridge for this? Thanks for visiting the Support Portal! If you don't mind my asking, could you tell us about some of the utility that you're looking for? I would be happy to help with finding those or similar options in CoreBridge, or help with creating Feature Requests for the utilities that aren't so that we can better the CoreBridge experience for all of our users! Essential, the "sales utility" we've used was somewhat similar to a system for estimates; the main difference being is that we're tracking the progress of the lead through notations. 2) Enter as 'sales lead' -- ie. "Customer emailed so and so today wondering about getting 20 vehicles wrapped" or "Customer called wanting options on exterior wall signs"
3. This stage is for reaching a conclusion with the customer to gather enough information to formulate an accurate quote. This may include site surveys, vehicle measurements. 4. Sales lead is concluded, and notes are transferred to the estimate. Notes are very important for the organism of business -- they allow every staff member to view the 'history' of an order, empowering them to answer and respond to virtually every aspect of the job. Here, notes were used extensively in this fashion, and the 'sales leads' utility allowed much greater organization of prospective jobs. Thank you for that information! From what I can tell, this sounds very similar to the functionality available in our CRM Module. Using this functionality and how it interacts with Customer accounts and Contacts, you could achieve nearly identical functionality. A lead makes a call to one of your salespeople and expresses interest in a quote for exterior wall signs, and your salesperson enters in their information as a new customer. CoreBridge will automatically assign all new customers as leads until they have an estimate entered, which is when their status switches to Prospect, or when they place an order and become an Active Customer. While creating the Customer Account, your salesperson also enters in the Contact's information, which automatically enters them into your CRM. Salesperson goes to the Contact in your CRM and adds that a Phone Call Event occurred and can enter in all the details and information that they gather from the call. If they have Contact or Customer Company level notes or flags they want to put in, this is also possible. After done, they click "Mark Complete". If they decide that further Events are necessary in order to make an accurate Estimate for the customer, they can schedule those (Site Surveys, additional Phone Calls, Emails, etc.) using "Create Event" at the agreed open time and date. 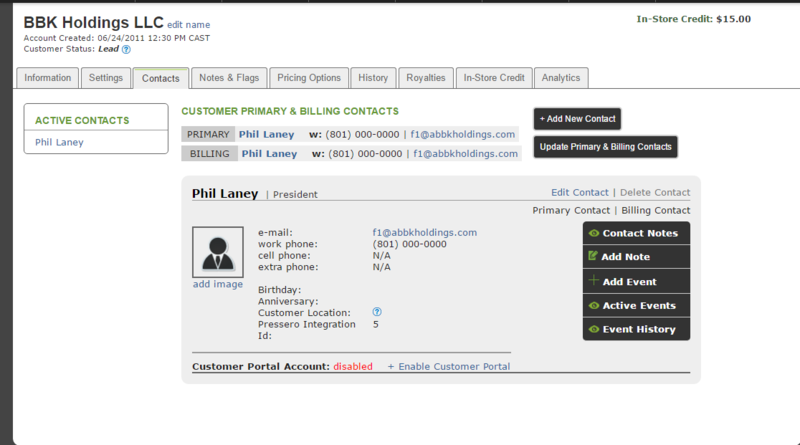 Once the estimate is ready to be created, all notes are easily accessible for use when creating the estimate from the Contact's information, either in the Customer Company page or the CRM by checking the Contact Notes, Event History/Notes, and Company Notes.